Finding Chevy dealerships in Wisconsin for truck deals that are affordable on used Chevy trucks for sale near Milwaukee is easier than ever. All that needs to be done to make this achievable is visit Ewald Chevrolet Buick. At Ewald’s Chevrolet dealership in Wisconsin, truck buyers can browse through a broad variety of new and used Chevy vehicles for sale. Find everything from used car or Chevy SUV for sale to used trucks for sale near Milwaukee at Ewald Chevrolet Buick. If it is used trucks for sale near Milwaukee at Chevrolet dealers in Wisconsin, Ewald Chevrolet Buick is the place to visit. Our Chevrolet dealers near Milwaukee located in Oconomowoc provides Wisconsin drivers with vehicles that can tow your toys around. Like a Chevy SUV for sale or Chevy trucks for sale from Ewald Chevrolet Buick. Ewald’s Chevrolet dealerships in Wisconsin also provides many affordable deals on our vehicles. Whether it is a Chevy SUV for sale or Chevy truck for sale, we have offers and specials that are sure to please. You are sure to discover a used Chevy SUV for sale or used Chevy truck for sale that fits within your budget at Ewald’s Chevy dealers near Milwaukee located in nearby Oconomowoc WI. The wide and diverse selection of powerful vehicles at Ewald Chevrolet Buick is like no other Chevrolet dealers in Wisconsin inventory. It makes it easier than ever before to find the used Chevy SUV for sale or used Chevy truck for sale that is right for your day to day needs. Stop by Ewald’s Chevrolet dealership in Wisconsin today. Take a look at some of our used trucks for sale near Milwaukee or a used Chevy SUV for sale to find the perfect one for you. Are you leaning towards one of our used Chevy trucks for sale near Milwaukee? 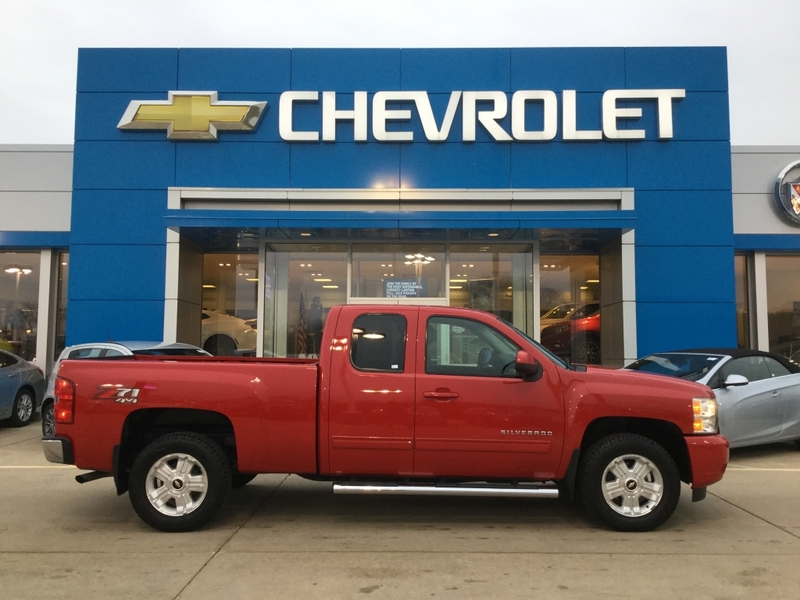 If you are looking for a used Chevy truck for sale but what it loaded with luxury features, take a look at the used 2012 Chevrolet Silverado LTZ for sale. This used Chevy truck for sale comes equipped with many great features and is ready to work hard to get the necessary work done easily. Find luxury features like heated seats, a luxurious leather interior, a power moonroof, and remote engine start. As well as Bluetooth, rear park assist, and much more. Take this incredible used truck for sale out for a spin down the sprawling streets of Wisconsin today. Whether looking for used trucks for sale near Milwaukee or a used Chevy SUV for sale, we have what you want at Ewald Chevrolet Buick. Give us a call today and schedule an appointment for a test drive in a used Chevy SUV for sale or one of the used Chevy trucks for sale near Milwaukee today. You can reach Ewald’s Chevrolet dealers in Wisconsin at (262) 226-2842 to schedule your test drive. Or find Ewald Chevrolet Buick at 36833 E Wisconsin Ave in Oconomowoc WI, 53066.